The adjustments made by the Green Bay Packers in the second half of Sunday’s 30-20 win over the Oakland Raiders, included more opportunities for former Badger wide receiver Jared Abbrederis. The results could mean more playing time for the Wautoma native in the future. 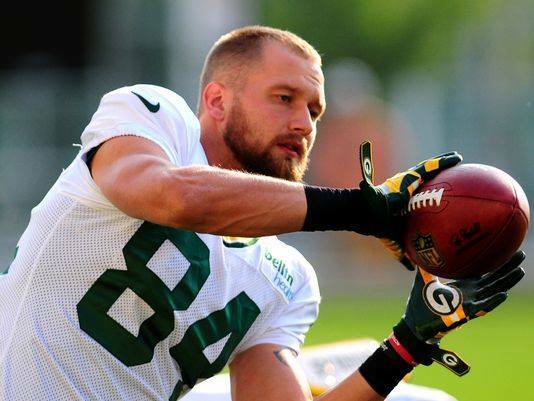 Abbrederis was a part of the four-receiver set employed by coach Mike McCarthy in the second half. He lined up in the slot and caught three passes for 33 yards. Abbrederis plays the same slot receiver position as Randall Cobb, so his opportunities are somewhat limited. But based on the way he played and the offense came alive in the second half, Mike McCarthy may need to find a way to get Abbrederis more involved in the offense moving forward.